In truth, I don't think it helps that at my core I was a cynical person before I even decided to publish. But after four years, I am still amazed at what I see in my internet travels. Humans will always find a way to game to the system and turn things to their advantage. Its the nature of the beast and I am not going to stand here and accuse. But after witnessing shenanigans across the board, its kind of weary some days to continue in the publishing biz. The new thing? Borrowing circles, where a group of authors all get together, buy Kindle Unlimited subscriptions (9.99) and 'borrow' each other's books so the author gets remuneration. Get 20 people, and at 1.38 a borrow, you've made 27.60. The cost of the subscription plus a profit. 50 people in the group? 69.00. 100? 138.00. Meanwhile, their sale ranking grows under false pretences and add that with the fake reviews and suddenly the author is on Amazon's radar and has a best seller. NOTE: July 1st Amazon is changing its TOS (Terms of Service) for Kindle Unlimited. See HERE Going to pay now for pages read. And I am sure those who game the system will find a way around these new changes. Meanwhile, most authors languish in obscurity because they are going about things in a more 'following the rules' way. Unfortunately, outside forces are also dictating the terms. You must have 10 reviews to even considered by numerous book promotions sites (like at Bookbub, where they turn down more authors than they accept and charge hundreds of dollars for the ones they do accept) I can't deny such exposure can boost your sales for a few days. But in truth, after the sale and promo, your book drops back into the 6 digits in the sale rankings. And another disturbing fact, most people are ebook consumers than ebook readers, meaning chances are your Bookbub special is lost on someone's Kindle with hundreds or thousands of other unread books. FACT: I have over 300 free and 99 cent unread ebooks on my Kindle. Will I ever get to them all? No. I still have three boxes of used romance paperbacks in my closet I haven't read yet either. And this should give authors pause with the new changes coming for Kindle Unlimited. Amazon knows exactly how many ebooks are on people's Kindles unread. This is actually a shrewd move on Amazon's part. Before, you would get 1.40 (just an example) if someone borrowed your ebook in KU and read at least 10% of the book. Now if they borrow it and read 10%? The author will get whatever Amazon decides they will charge by the page. If its 1 cent, you may get 10-50 cents. (I'm guessing here, no one knows how the calculations will shake out, its all in 'wait and see' mode) I have the sneaking suspicion sometime down the road, ALL ebook purchases on Amazon will be by pages read. (See? I am a cynic) Oh, and Amazon will be deciding how many 'readable' pages your ebook has. Yeah. Authors are clamouring over each other to be noticed. And it does place a lot of stress on an already stressful situation. I need 10 reviews! How do I get them? What do I do? *pulls hair* Short cuts start looking more and more feasible. And doable. Also add plagiarism, book pirating and less than honest publishers and a writer begins to wonder: Is this worth it? Any of it? On paper, at times it really isn't. Many surveys have shown only the top 5% is making all the money (just like in real life!) the majority are NOT making a living wage. So why do it? Personally, because I love to write and share my stories. Though I will be giving some thought on what do with any possible upcoming self-pub releases, and if I will even bother to continue the venture. I have too much going on in my life at the moment outside of writing and far too weary to jump through hoops and take short cuts to be noticed. If that means I languish, so be it. 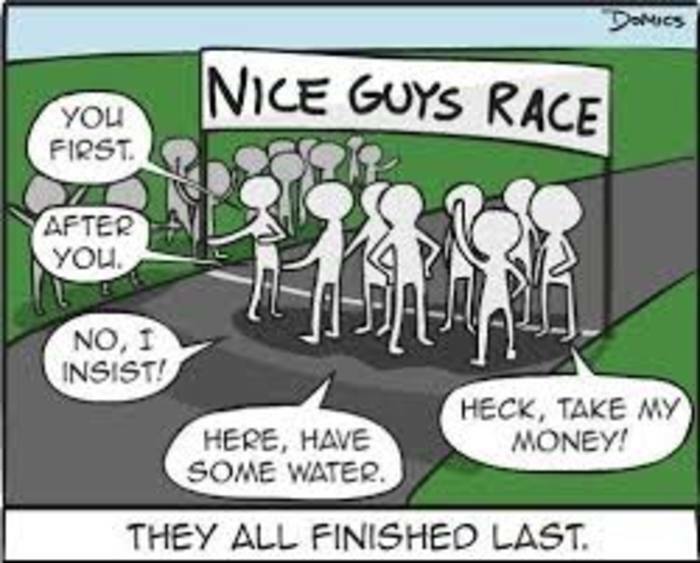 I'll just go about my business and live in hope that the old adage 'nice guys finish last' is not true. Yeah, I'm waiting to see how the new Amazon changes shake out. Just when you think you might have something going Amazon changes the rules. Exactly, I thought I had my self-pubbed plans made for the rest of the year, now...I am going to wait and see. Thanks for commenting, Cara! You have captured my thoughts to a T. When I received the KDP newsletter, I read it and immediately ranted to my husband. My venture in self pubbing is new, but that doesn't make me an idiot. I've seen some people claim it's a great way to "weed out the indies from real books." <--- Took everything I had to keep my temper on that too. Ugh. Everything makes you want to throw your hands in the air and call it a day. My venture is new as well, I will be using it mostly for re-releases. I'm going to have to re-think a few things. And elitist, literary authors make my eyes roll. I hear you about the holding your temper. :) Calling it day is becoming very tempting. Cheers for commenting, Deadra!